Brushing, flossing and regular dentist visits may already be an important part of your regular oral health and hygiene routine, but are you aware that brushing your tongue is just as essential? Your minty mouthwash is only a temporary fix for bad breath. 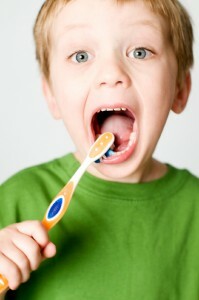 Instead, brush your tongue to uproot bacteria and eliminate bad breath. No matter how thoroughly you brush, ignoring the moist bacteria hotbed on your tongue can allow destructive microorganisms to travel and cause damage to your teeth and gums, possibly causing diseases like gingivitis. Brushing or scraping the tongue can help remove particles before they turn into a fungal infection. Eliminating bacteria at the source prevents it from traveling down your throat; this can help prevent strep throat and or cold symptoms from making you sick. Tiny blood vessels in your mouth called capillaries can serve as a direct pathway for microbes to enter your bloodstream. Keeping your tongue clean can help stop bacteria in its tracks. Good oral care goes much further than just the mouth; just as bacteria can travel down the throat, it is also capable of entering the stomach, causing indigestion or ulcers. Soft plaque is composed of bacterial byproducts which are produced by the tongue and move to the teeth. If soft plaque is not cleaned within 12 hours, it becomes hard plaque. Regular tongue care can greatly reduce the threat of both plaque types. Learn more about the benefits of brushing your tongue and get on the road to great oral health by enrolling via our registration form, or by calling EDP at (800) 777-1085. Learn about EDP Dental Plan and the savings you can receive today!